A fall, a motor vehicle accident, an act of workplace violence, or another incident could have left you with an unimaginable and an incurable spinal cord injury. Spinal cord injuries are classified as either complete or incomplete. How much control the patient has over his limbs after the injury is determined by how high or low on the spinal cord the injury occurred and the severity of the damage. A spinal cord injury is called “complete” if almost all feeling and ability to control movement has been lost below the site of the injury. It is termed “incomplete” if some feeling and function are still intact. Depending on the severity of the injury, people with spinal cord injuries can recover almost completely, suffer some paralysis, or be completely paralyzed. The actions that were taken immediately after the incident, the treatment that you receive for your spinal cord injury, and the steps that you take to protect your rights will all be important to your recovery. Pain or pressure in the neck, head, or back. Paralysis, lack of coordination, or weakness in any part of the body. Twisted or improper position of the back or neck. A loss of bowel or bladder control. If you were involved in any workplace incident that may have hurt your neck or back then it is important to get prompt medical treatment whether or not you experience these symptoms. Do not try to move yourself and do not allow your co-workers to move you. It could make your injury worse. Instead, call 911 and let the professional EMTs get you to the hospital for an evaluation and diagnosis. A comprehensive neurological exam will be needed to determine whether you suffered a spinal cord injury and to ascertain the extent of the spinal cord injury. Once a diagnosis has been made, your doctors may recommend treatment. However, there is currently no way to reverse spinal cord damage. Therefore, your treatment will be focused on preventing your injury from worsening and on making sure that you can live as independently and actively as possible. This may require medications, surgeries, and rehabilitative therapies, for example. Temporary total incapacity. You may qualify for these benefits if you are unable to work for six or more calendar days. Your benefits may include up to 60 percent of your gross weekly wage up to the state’s average weekly wage at the time of your injury. Benefits may continue for up to 156 weeks. Temporary partial incapacity. You may qualify for benefits if you are able to work, but you earn less than you did prior to your injury. Your maximum weekly benefit will be 75 percent of the amount you could recover for temporary total incapacity. You may receive these benefits for up to 260 weeks. Permanent total incapacity. 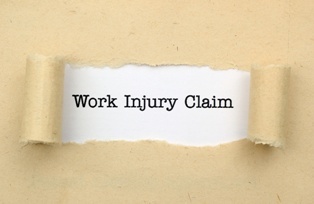 You may qualify for benefits if you are totally and permanently unable to work due to your injury. Your benefits may include up to 66 percent of your gross weekly wage up to the state’s average weekly wage at the time of your injury. You may also get cost of living adjustments annually. These benefits will continue for as long as you are disabled. Additionally, your reasonable medical costs should be covered for as long as you are receiving medical treatment for your injury. Other benefits may also be possible depending on your unique circumstances. While Massachusetts employers are required to have workers’ compensation insurance, it may difficult to receive fair compensation for your claim. Workers’ comp insurers, like other insurance companies, want to minimize the money that they pay out in claims so that they can maximize their profits. Accordingly, we encourage you to contact our experienced disability lawyers today to learn more about your rights and to begin the process of getting the fair workers’ compensation benefits that you deserve for the spinal cord injury you suffered during the course of your employment.